Longtime business partners Apple and Qualcomm have been embroiled in increasingly ugly legal battle for almost two years now, and just in case the conflict wasn’t complicated and confusing enough for those unfamiliar with smartphone patent wars, the two tech giants seem to be interpreting a recent court ruling very differently. After quickly appealing last week’s preliminary ban on sales of older iPhone models in China, Apple promised to further “address any possible concern about our compliance with the order” by issuing a new software update. Yesterday’s iOS 12.1.2 rollout start appeared to fit the description, either removing or revising the functionality found in violation of Qualcomm-owned patents in addition to fixing a number of eSIM and cellular connectivity-related bugs. But this doesn’t seem to be enough to appease Qualcomm, which claims Apple “continues to flout the legal system by violating the injunctions.” Don Rosenberg, the San Diego-based company’s general counsel, insists Apple is deliberately attempting to “obfuscate and misdirect” with its actions following the Chinese court order, as “sales, offers for sale and importation of devices identified in the orders” should have been immediately halted. That obviously never happened, although it feels highly unlikely that Apple is simply and brazenly ignoring a clear-cut ban. Instead, the company appears to be taking advantage of the court’s ambiguity in requesting devices using certain software features be prohibited for sale. Interestingly, while it was initially believed the orders made clear mention of older iOS versions violating Qualcomm patents, Reuters says that’s not really the case after carefully examining a copy of official documents. 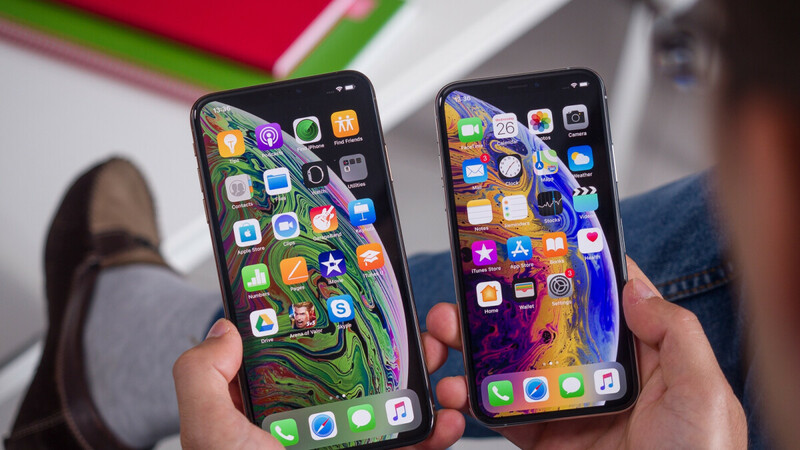 That may or may not work in Apple’s favor, as the vagueness and uncertainty seem to help resisting the ban for the time being, while threatening to impact the iPhone XS, XS Max, and iPhone XR eventually. One thing’s clear - there’s no happy end in sight for this nasty legal clash. Not anymore. Apple's hypocrisy is beyond control. I would give fruit company only once chance to make it right. If they still fail i would ban them for life! Fruit company they cheat, lie and steal! I like how Qualcomm is now running the show. I was always for Qualcomm in this battle. 1. Apple agreed to terms that Qualcomm is inforcing (if Apple didn’t have any foresight it’s not Qualcomm’s fault). 2. Qualcomm modems are best. Apple needs to cave on this one. Quite the contrary: 1. Apple did not knew the prices QC used to sell it's modems to competing companies; it got duped and is entitled to be compensated for the extra money it paid. 2. no argument here. No Apple knew it paid a set percentage of a phones retail price, just the same as all manufacturers do. If Apple charges more for it's phones then it pays more to Qualcomm in the FRAND terms it agreed with Qualcomm. Thats Apples problem no one elses. While i do not agree with Qualcomms FRAND system Apple knew full well what they signed up for, used the modems as they had no alternative, then refused to pay later and that is just bang out of order. Just like a Samsung tv has the same price when I buy it or it is bought by Cook, so should the QC modems. It’s illegal to overprice a product, because the buyer makes more money (at least in EU) and that has both to do with FRAND system (which is for using patents and not for buying final products). Leo. Even if Qualcomm offered 50% of the iPhone price as a fee to use their tech and Apple agreed - Apple would still be on the hook. Apple is welcome to renigotiate with Qualcomm but it’s qualcomm sole discretion to make any changes asked by Apple - as long as Qualcomm delivers what it’s contractually obligated - Apple must pay what is contractually obligated. I do contracts all day every day at work - and I weigh customers and price my services at my descretion. Usually everyone gets same treatment, but if I know this customer is willing to pay more - I try to get the best deal that benefits me, and likewise discount if I need the job desperately. It’s give and take business and I presume on a larger scale it’s same for this corps as well. Any company is entitled to refuse the payment and ask for the dissolution of a contract, if it has the prove that it has been duped. Again: it’s illegal to change the price of a product just because the buyer has more money. I’m sure the truth is somewhere in the middle so let them fight their own battles ;). If it is actually illegal (regardless of contract) to charge more to one customer than the others - then the law should prevail. But I always believed the contract is law. "Any company is entitled to refuse the payment and ask for the dissolution of a contract, if it has the prove that it has been duped." How has Apple been duped? They knew full well what they were paying and signed the contract. Do you think Apple would sign a contract to purchase over 200 million modems without knowing the price? Apples big problem is that they had arranged no alternative supplier and were forced by thier own bad planning to use QC's modem. Apple knew the price, but it did not know that the price was not fare.